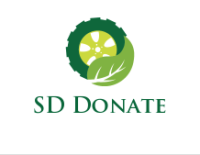 How do i donate your vehicle in San Diego? You can donate cars to many popular places inluding father joe, the goodwill, make-a-wish, and many other 501 c 3 charities. You may also chose an easier option which is to donate your car for cash. What does donating your car for cash mean? It means your chosing to sell your car for cash and releasing liability out of your own name and releasing it to us. If I chose to donate my car for cash will I still get a tax write off? No. You are chosing to sell your car in a quick and orderly fashion. Many San Diegans want a quick no hassle option to relieving themselves of an unwanted vehicle. How can I donate my car for cash in San Diego? Fill out the form on the homepage of DonateCarSanDiego.com, which typically takes about 30 seconds. You may also call 619-379-1876 if you don't feel like waiting around for anyone to call you.